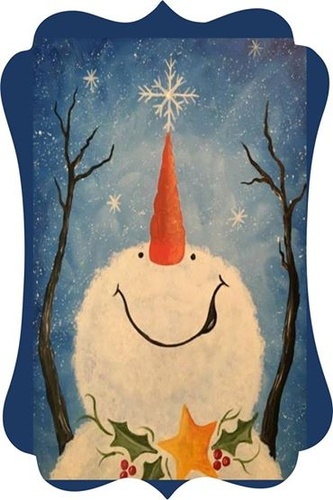 Come paint, party, and drink creatively with the Paint Sip Smile Posse for your next night out! In about two hours, while you?re sipping on a glass of your favorite beverage of choice, our artist will guide you through a painting step-by-step. At the end of the night, take home your own unique masterpiece--you will be amazed with what you can do! We provide everything you will need for the event: 18"x 12" wooden sign, paints, brushes and even an apron to wear that night. You just bring your fun-loving friends and we'll make sure your inner Picasso is unleashed. Event begins promptly at the start time above. Please arrive 10-15 minutes prior to be seated and make your food/drink order with the server before we begin the event.